Harry Kane is aiming for a hat-trick of golden boots this season, but yet another arid August may prove a minor setback for the Spurs striker. Which players are set to rival the England international this season at the top of goalscoring charts? The 24-year-old didn’t find the net until August 10 last season yet still plundered 29 goals over the course of the season and yet another empty first month of the season has seen his odds lengthen in the golden boot market. He netted twice against Malta at the beginning of September and that brace should give him the confidence to break his season duct for Spurs in the Premier League. Kane’s last three season totals stand at 21, 25 and 29 and he appears determined to reach the magical 30-goal milestone. Only seven Premier League players have managed this feat, including Luis Suarez, Kevin Phillips, Andy Cole and the mercurial Thierry Henry. 2013-14 was the last time this magical mark was surpassed and with an incredible amount of firepower in the division, this season looks set to be a high-scoring campaign. 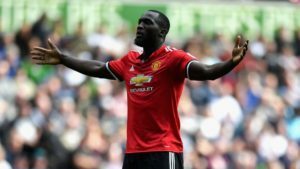 Kane will once again face stiff competition for his crown from a rejuvenated Romelu Lukaku, who has certainly hit the ground running. The Belgian frontman joined Manchester United from Everton for a fee in the region of £75 million and has netted three times in as many matches. He is enjoying the pressure of wearing the iconic number 9 shirt for Jose Mourinho’s side and is fancied by many pundits to break the 30-goal barrier this time around. The 24-year-old presided over his most prolific season yet when netting 25 times for Everton during the 2016-17 campaign but as the Toffees’ form faded in April, the chances dried up for the striker and he wasn’t able to catch runaway leader Harry Kane. He’s also netted four times whilst on international duty and is full of confidence. Lukaku wasn’t able to net his first Premier League goal until September 12 last season and appears to be on track to fire at least 30 goals this time around. Manchester United faced a relatively tough encounter with Leicester at the end of August but as expected, they prevailed and Jose Mourinho’s side are flying high. Alexandre Lacazette and Alvaro Morata are two of the notable new additions in the golden boot market, with the strikers joining Arsenal and Chelsea respectively. Both frontmen appear to have settled into their new surroundings and have already hit the target for their new employers. The Gunners’ striker hit 28 goals in the French top flight last season and held the highest conversion rate (38.9%) of any forward throughout Europe’s top leagues. He is a poacher and netted just twice from outside the penalty area last season and he’s already off the mark in North London taking just two minutes to find the net against Leicester. Morata has found the net twice since his arrival at Stamford Bridge including strikes against Burnley and Everton. The Blues were expected to beat the Toffees and fans will be encouraged by Morata’s all-round display against Ronald Koeman’s side. He also found the target against Italy whilst away on international duty, bringing his total to five during Spain’s FIFA World Cup 2018 qualifying campaign. The former Real Madrid man’s transfer was one of the most protracted deals of this summer but as super-agent Jon Smith revealed in an exclusive interview with Betway Insider, negotiations can often last between three and four months with factors such as personal terms, image rights, agents commission and housing to be considered before any contracts can be signed. Smith adds that possible disputes over the length of contract and discussions between the two clubs can often hold up proceedings too. 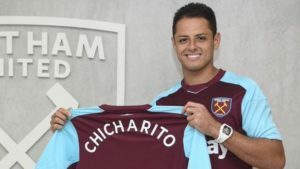 Javier Hernandez is another new arrival in the Premier League although his previous experience in the English top flight will help him settle quickly and the Mexican has already bagged a brace against Southampton. He netted 13 times in 27 appearances for Manchester United back in 2010. Manchester City duo Sergio Aguero and Gabriel Jesus are both likely to have productive campaigns but Pep Guardiola isn’t keen on selecting both players to feature in the same match. The Brazilian is off the mark for the season and netted seven times in ten appearances before an injury curtailed his season last time around, whilst Aguero scored 20 times last season despite missing several matches through suspension. The Citizens currently sit fourth in the Premier League table and will be hoping the firepower of their frontline can help propel them above their rivals Manchester United over the course of the season. Finally, Liverpool trio Mo Salah, Roberto Firmino and Sadio Mane are all likely to find the net with regularity throughout the season but the Reds tend to share the goals around and that could hinder their chances of clinching the golden boot. Home » Premier League Perspectives » Who are the Contenders for the Premier League Golden Boot?